Main event @ Gartholwg Lifelong Learning Centre, Church Village - Pontypridd. Further dates in Porth, Aberdare & Treorchy. The main event will be at Gartholwg on Saturday the 13th of July, followed by an evening event at Clwb-y-Bont, Pontypridd. 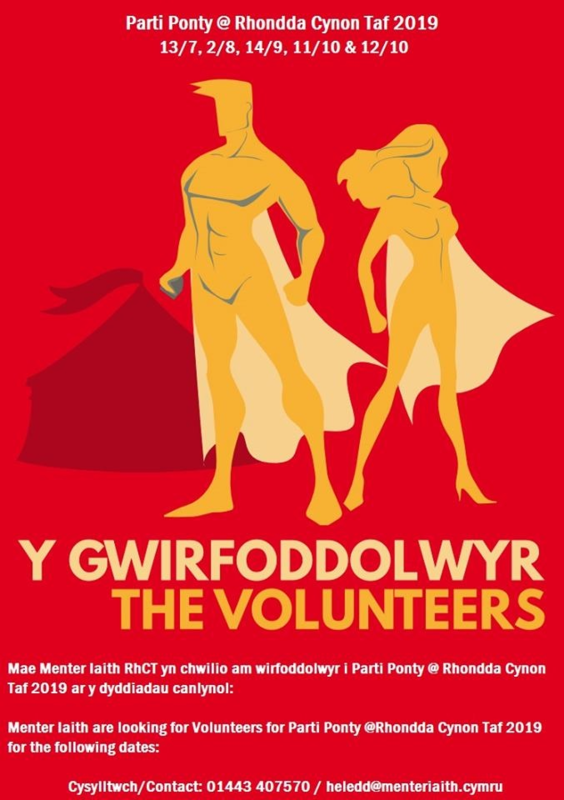 Further events will take place - @Porth on Saturday the 2nd of August, @Treorci on Saturday the 14th of September and @Aberdare on Friday the 11th of October. Keep up with the latest on Facebook & Twitter. 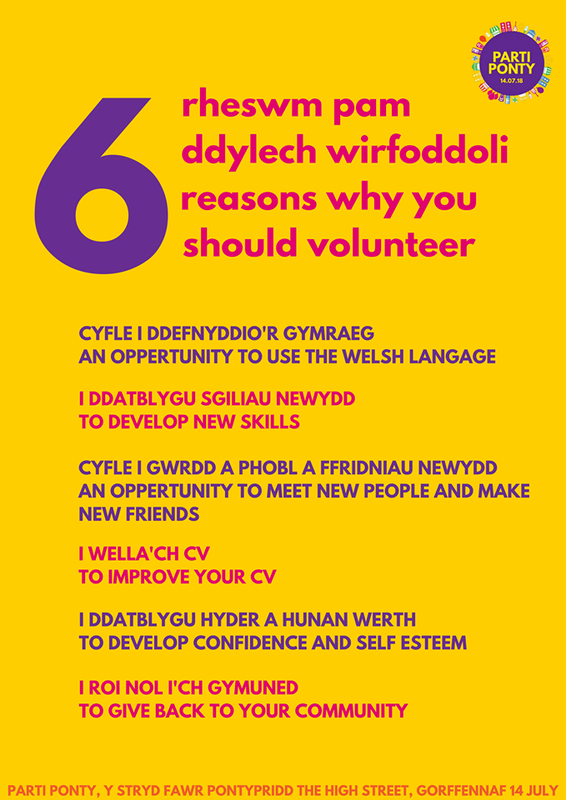 There's a chance for anyone to volunteer during our fantastic festival this year! Why wait? Contact us now! 2019 will be the fourth consecutive year for Parti Ponty. 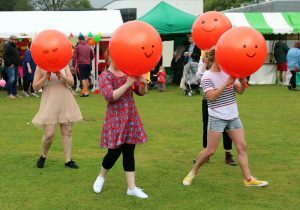 Previous years has seen the festival at Ynys Angharad Park and in Pontypridd Town Centre. 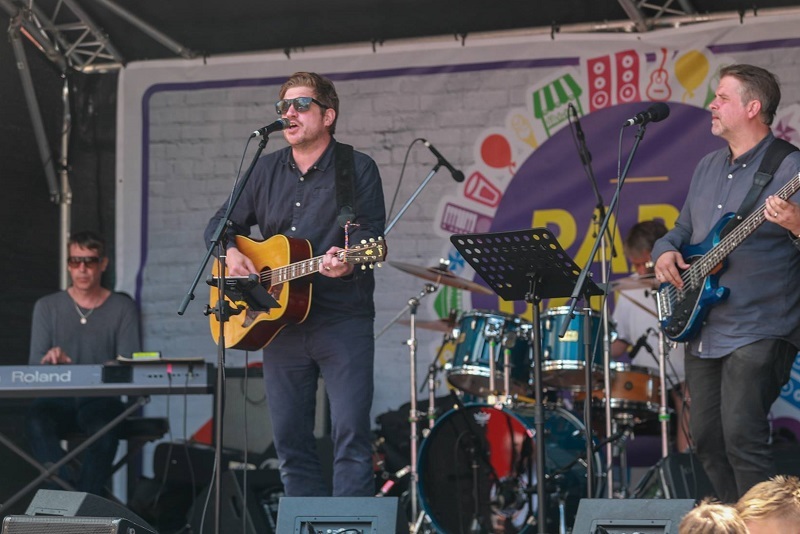 The festival provides an opportunity to experience a Welsh language event in Rhondda Cynon Taf that includes performances by established Welsh music ats of all kinds.